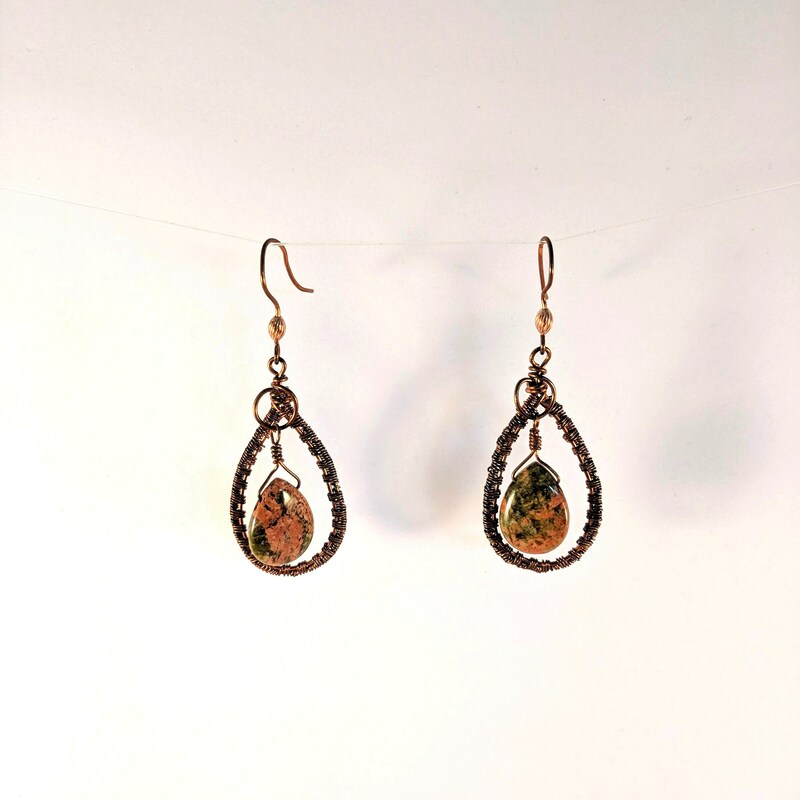 Unique earrings with a woven wire loop pendant! 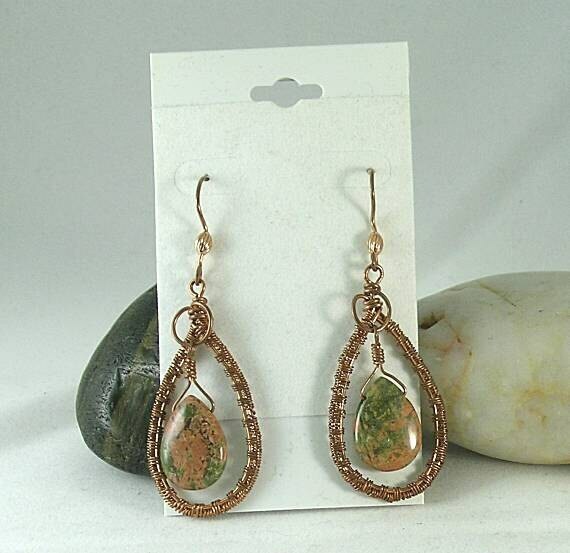 These 24 x 40mm wire wrapped hoops have a 13 x 18mm unakite jasper teardrop bead hanging in the center. 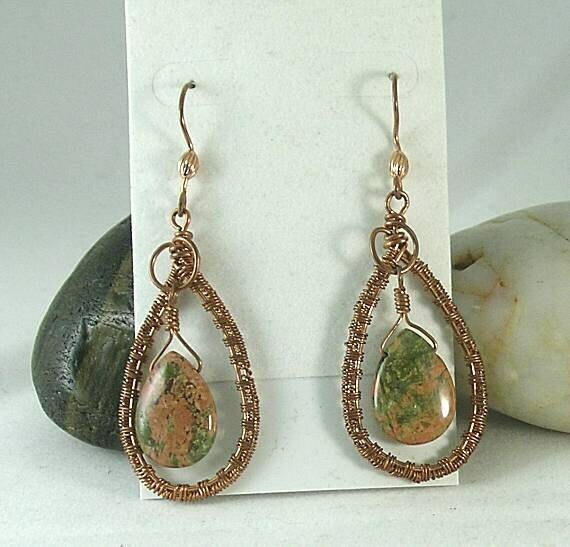 The handmade ear wire has a 3/5mm oval copper bead. The overall length is approx. 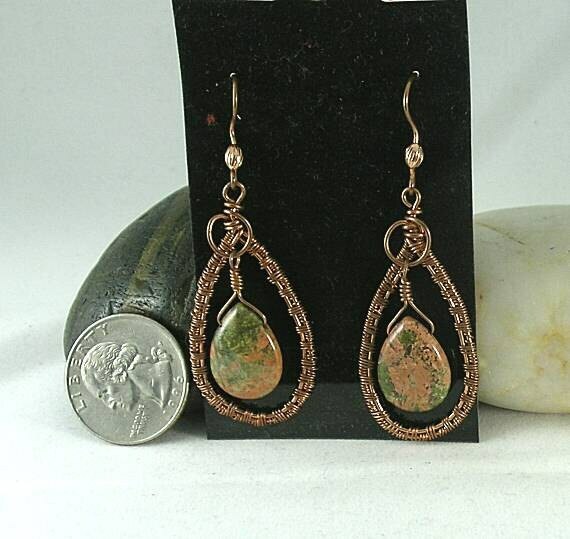 64mm or 2 1/2" from the bottom of loop to top of ear wire. 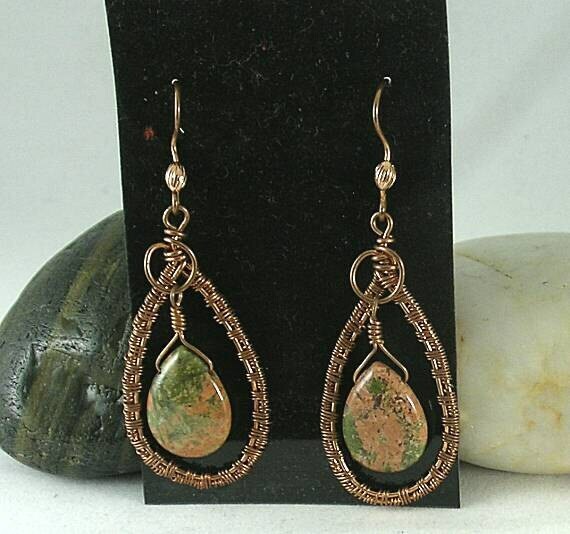 The colors in this stone look amazing with copper! Available in copper. Plus Sterling silver by custom order. Contact us if interested. 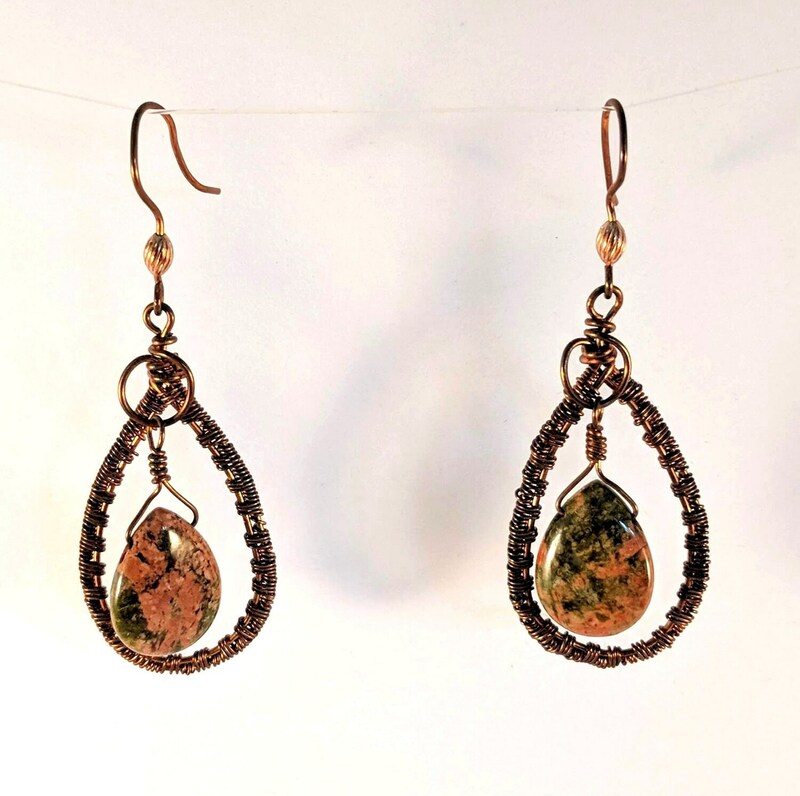 UNAKITE JASPER - Brings energy to all chakras, especially the heart. It assists in releasing negative emotions and the inner dialogue that creates them. Raises vibrations of the spiritual and emotional body. It supports the treatment of cancers and heart diseases. Promotes the growth of healthy tissue.